How appropriate that the Thursday night performance at the Kitano by Sara Serpa and Ran Blake began with “The Short Life of Barbara Monk”: the duo—still basking in the glow of their most recent and highly successful record Aurora —performed this Blake original as the first of many short vignettes, all characterized by subtle musicality and understated but unceasing mastery. Serpa delivered the melody of “Barbara Monk” as a wordless vocal, echoed occasionally by Blake, whose virtuosic brilliance shone through from the very first bars. On “Sing a Rainbow” from the 1955 movie Pete Kelly’s Rainbow, Serpa sang the lyric “listen with your eyes,” a line especially appropriate for her collaboration with Blake which attends so carefully to the manipulation of tone, harmonic invention, and polyphony for evoking changes in the mood and comportment of their music. Serpa and Blake encourage us—the audience—to engage in their music with all of our senses heightened. Though I had listened to their latest record many times over, this evening was the first occasion I had to hear Serpa and Blake live. It is a credit to the venue’s piano and acoustics that Blake’s every movement came across so clearly: at the keyboard, the various colors and angularities, the attack and prolongation of each pitch among the vastly different harmonic densities regardless of register; and with the instrument’s pedals, meticulous shaping of phrases, manipulation of volume, and phasing of particular notes from within each idea. The net result was a clinic in individualistic but remarkably sympathetic (not empathetic) accompaniment: Blake and Serpa were feeling the music together and along with one another. The subtlety of their art is all the more apparent in person because of this invitation to engage with the music as they do, with all their senses. On “La Vie en Rose,” Serpa’s faithful vocal was set in stark relief against Blake’s reinvigorating harmonic adventures. The pianistic angularity and seemingly tangential harmonies Blake employs allow listeners to hear the sound of innovation unfolding in real time: each successive wave of piano music is tinged simultaneously with melancholic intrigue and the sudden, surprising reward of unforeseen (or, rather, unforeheard) chordal resolutions. Over a surreal, march-like piano accompaniment, Serpa delivered the verse of “La Vie” in a declarative, recitative-like style before floating lyrically into the song’s refrain. Her vocal approach is characterized by an engaging delivery, a supreme musicality, acute attention to sound, and an understated, but confident assertion of her individuality that flies in the face of stylistic cliché and conventional performance practice. On this particular song and more generally, the success of Serpa and Blake’s collaboration derives from the creative tension among innovation and tradition, improvisation and composition, student and teacher, and vocalist and pianist, that binds each song—and these two individualistic performers—together. 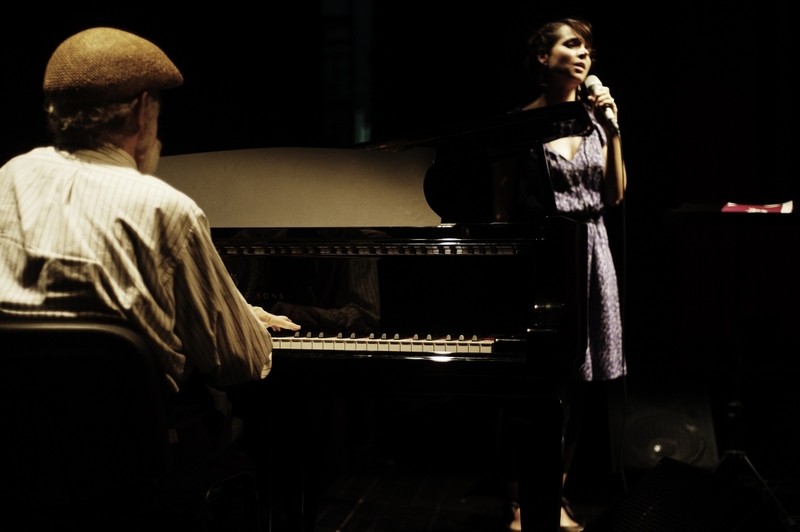 From French cabaret to Portuguese fado, Serpa continued with an a capella rendition of “Mãe Preta” (“Black Mother”), popularized by Maria da Conceição and Amália Rodrigues. Ran Blake sat, leaning forward, resting his head and forearms against the piano, and listening intently, gaze fixed on Serpa as she rendered a haunting performance. Serpa’s focus on sound was particularly apparent as she shifted among languages through the set’s repertoire. In addition to evoking the sentiment and imparting the meaning of each song’s lyrics, her artful sensitivity to and understanding of phonemes (the distinct sound units of a language) set her apart from her peers and hint at the pinnacle of artistic potential for jazz vocal performance. On her own, Serpa demonstrated the ability to negotiate multiple tonal centers, sophisticated and subtle breath control across phrases, and even attention to volume control and manipulating microphone distance to great effect. In the conclusion of “Mãe Preta,” as Serpa deftly faded out and ended the song, Blake removed his trademark sunglasses and smiled in appreciation. He, along with the audience, sat transfixed, listening with his eyes. In their set, Serpa and Blake performed twelve songs in total, each one relatively short but teeming with artistry—short studies in improvised collaboration and emergent beauty. Throughout the whole evening, both musicians’ supreme skills as individuals and a cohesive collective were readily apparent: Serpa’s interpretative force and masterful variance of timbre and lyricism were offset and complemented by Blake’s encyclopedic knowledge and playful retooling of accompaniment styles manifest on an instrument over which he exercises utter mastery. Often the duo would perform each song only once through the form, which was quite enough for all the expressiveness, artful variation, and interpretation to shine through. On “Speak Low,” Serpa’s surprising move up an octave at the bridge precipitated a shift in the song’s feel, texture, and context—augmented via Blake’s responsive accompaniment—that provided sufficient and satisfactory contrast such that another iteration of the song’s form would have been excess. On “Driftwood,” Blake’s use of whole tone and octatonic scales and widely voiced harmonies opened up a large sonic space that the duo filled with a call and response in which the two improvisers continually crossed over each other’s ideas, pouring out successive waves of music, simultaneously echoing and previewing each other’s phrases, such that the abundant and unceasing music blurred the lines between performers. Worth particular mention is Serpa’s solo rendition of “Sophisticated Lady.” Bringing all her skills to bear on this well-worn and challenging standard, Serpa broke the form open by manipulating its time (a careful push-and-pull of phrases), marked repetition (with variation) of important lines, subtle interpretative force (as in a clearly audible distinction between the words “no” and “know”), elaboration and interpolation of new harmonies, and exquisite, detailed attention to the approach and context of key melodic pitches. Another true masterpiece. The set concluded with Sammy Cahn’s “I Should Care,” and, as they had all evening, Serpa and Blake demonstrated the perfect pairing of vocal approach and piano accompaniment. After the first sung pitch, Blake darted away, shifting the traditional harmonic sequence in a new, but still complementary, direction. Serpa played heed to every lyric, and Blake such close attention to her phrasing and breath, but both also let the music breathe, allowing ample room for the sung pitches and voiced chords to sound in space and resonate through time. On the final cadence of the song, Blake played his last chord of the night, entering after Serpa’s final pitch, but making sure that the piano faded well before Serpa’s sustained note. Blake’s accompaniment punctuates, accents, embellishes—but never interferes with—Serpa’s melodies: as any pedagogical master would, he supports his former student but lets her voice and her personality flourish. 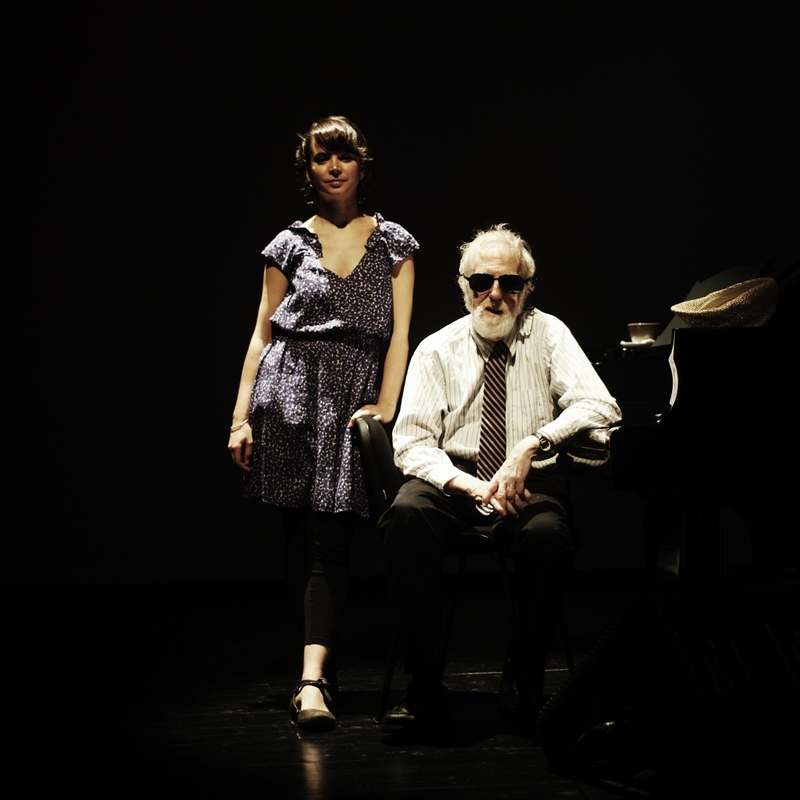 The collaborative duo of Sara Serpa and Ran Blake is highly musical and utterly captivating; its artistry is all the more powerful for the musicians’ improvisatory practices that nevertheless present as the highest quality of composed art song. Blake’s inimitable pianism delights listeners in its effortlessly artful and spontaneous nature that is all the more masterful for its apparent intentionality, while Serpa’s subtle control, interpretative force, and understated confidence belie her young age and presage a career as long and celebrated as her former teacher’s. One can only hope that these collaborations with Blake will elicit the past-due praise and appreciation of her music. If you have not heard this duo’s albums (Aurora and 2010’s Camera Obscura ), you most certainly should purchase them for your record collection. But definitely seek out a live performance if at all possible. For inasmuch as recording technology can attempt to faithfully approximate the supreme artistry of a performance such as this, the opportunity to share a concert with Serpa and Blake—to listen with your eyes and all your senses heightened—is an unforgettable and tremendously rewarding experience.